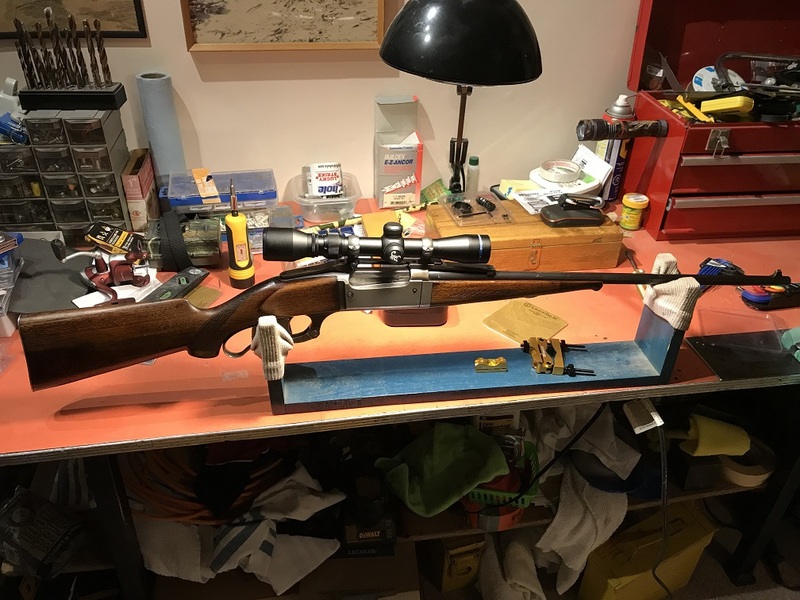 I just finished mounting a no drill scope mounts on my Grandfathers 1920's 1899 in 250/3000 cal. I topped it off with a 2-7 power Scorpion scope. Since my eyes aren't very good anymore, I just can't see the rear sites on iron sites anymore. I am also a firm believer in never drilling and old beauty like this one. The last few years, this rifle stayed in the gun cabinet as I looked for a complete Stith scope set up. I hadn't looked for a year or so, so started to search again. I happened to see a picture of Lightfoot's mount and BINGO! New life for my Grandpa's old gun. Anyone who wants info on the mount, let me know and I'll pass on the contact info. well done that man.... sure looks the part and will give you years more enjoyment now you can use her again. I understand what you're saying. Lightfoot basically took the old Stith scope mount and modernized it so you can use any scope. I've never heard of an issues with the old Stith mounts, so here's hoping none will arise. Sweet! Hope it shoots great for you Grant! I am so jealous! Great rifle. Good luck. Gorgeous rifle Grant, and the sight compliments it’s lines. Well done on finding a mount...they can be few and far between. 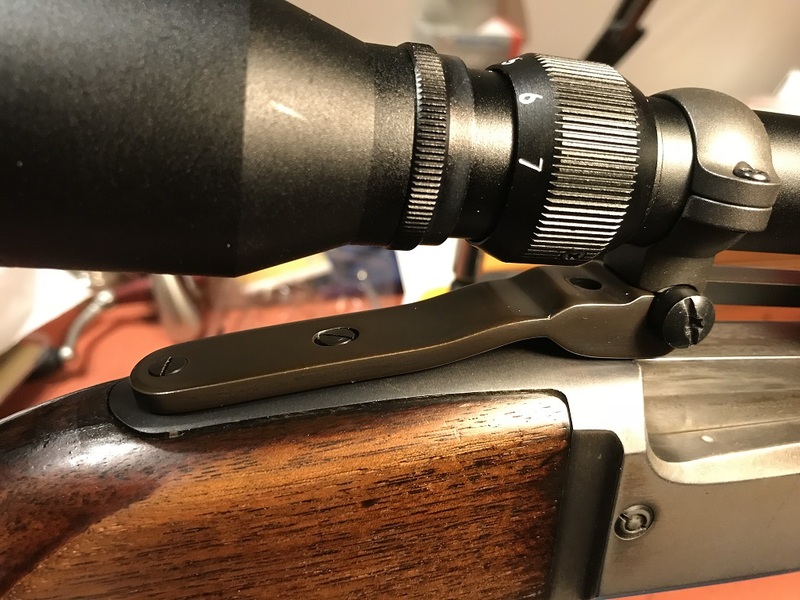 I have a similar sight mount on my Model 94 from XS Mounts which has allowed me to mount a long eye relief scout Scope. Aloys, I’ve used a similar mount on my Mod 94 for some years now without any noticeable changes due to the barrel heating up. I think the barrel thickness would limit any expansion when hot. I am so looking forward to trying this *New* rifle out. Next season I will be using it to take an Elk and a Whitetail. 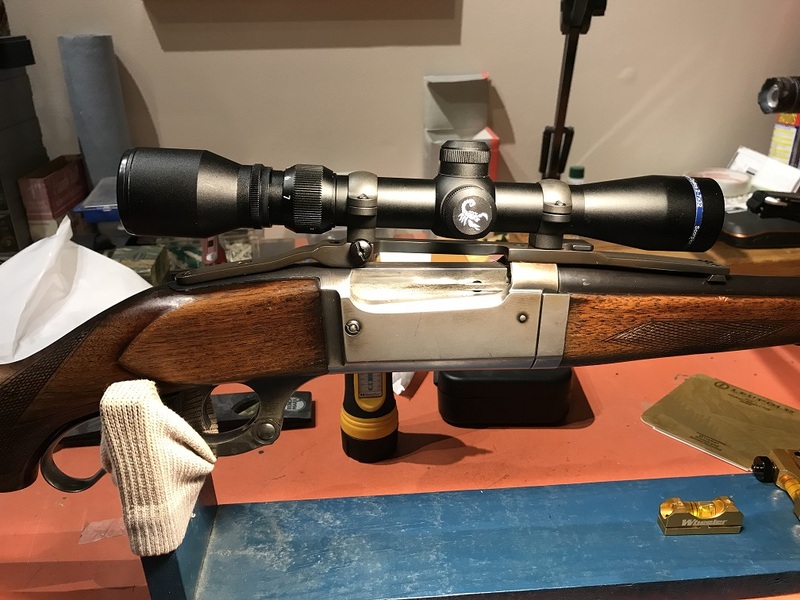 The fellow that makes these mount is in California, so anyone who has an old Savage 1899 and don't want to drill it, he'll make one for you. That's a great solution - I too wouldn't want to be drilling holes in a fine old rifle. That is quite a find Grant. The mount complements the rife and it doesn't require modifications. That's a win win! I am looking forward to a range report when you get the time. The 250 Savage...... IMHO probably one of the best deer cartridges ever designed !!! 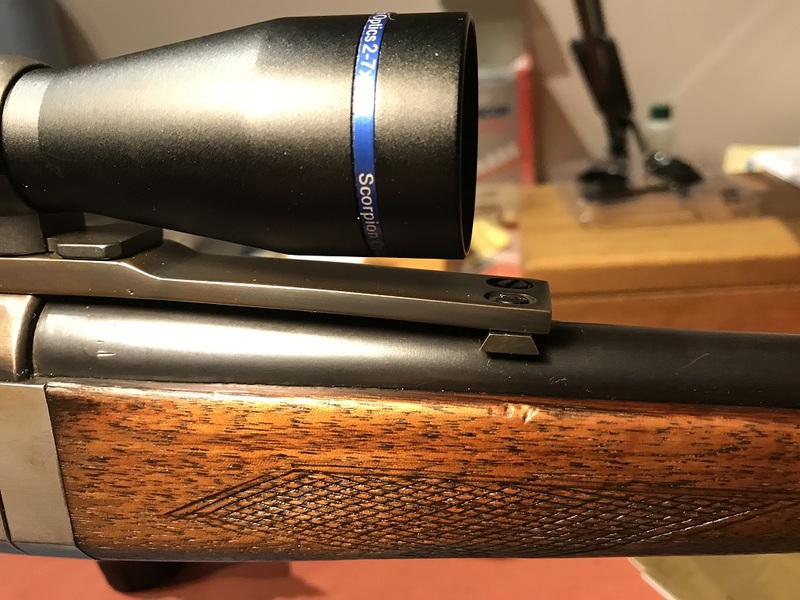 Well, wanted to get out and sight in the new scope and test some different loads over the holidays, but a cold snap lasting over two weeks has put that on hold. It's -36 C this morning with a wind chill of -46 C. In other words, it's *&^$%^% COLD! Oh, that’s brass monkey weather...must be climate warming. Hang in there Grant...the opportunity will arise mate. I’m in a similar position in that I’m “chomping at the bit” to get out and test some rounds I purchased. .... It was +6 today....too bad I'm back to work now, figures.